​Professional Landscape Services for your homes or business! We do it all from complete landscape design to maintenance. We are Arizona's Best Landscape Experts! ​We are professionals and landscape design! Browse through our portfolio gallery and be inspired by the work we have done! ​See what we're up to, view current projects, and learn tips and tricks for all things landscaping. We love to keep our customers informed! The staff of Red Mountain Landscaping are knowledgeable, pleasant, and dependable and always go the extra mile for us. John and his professional crew have taken care of our yard for many years and we have great confidence in their ability to be friendly, personable and reliable. John is always quick to respond to our questions and needs and keeps our landscaping looking good in our unfavorable desert conditions. If you are looking for an honest and professional landscaping company, Red Mountain is for you. We have been clients of Red Mountain Landscaping for over eight years. Over that period in addition to maintenance, they have completed a number of projects for us. These run the gamut from structure painting, yard reconstruction, masonry and stonework. The work is always completed to our satisfaction. In all cases, including regular maintenance, the owner is on site to insure quality control, answer our questions or to make suggestions. John was honest and fair with his landscape maintenance pricing. Him and his team do excellent work maintaining our yards twice a month. Highly recommend this company! We believe in honest and fair landscape pricing. But most importantly, quality service along with professional landscape design and maintenance that will keep you as a customer for life! 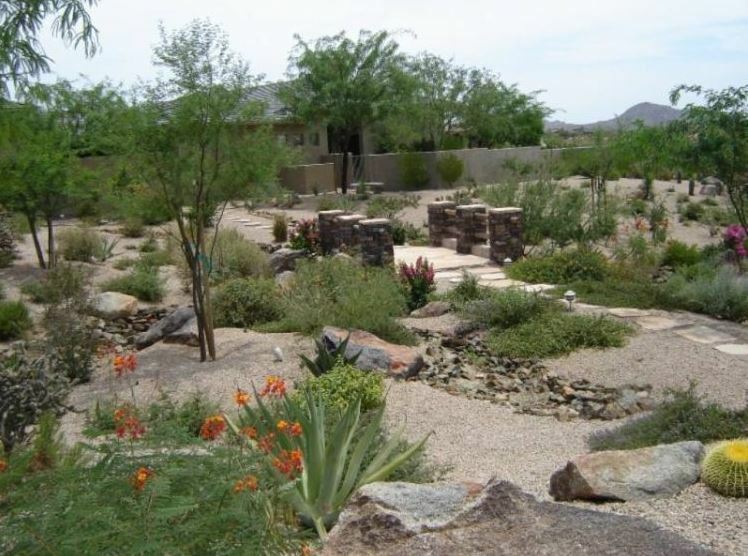 We offer the most complete landscape design service in all of Arizona. If you moving into a new home that has no landscaping - your our perfect client. We turn your empty yards into beautiful landscapes! We can make your yards look like lush green gardens or we can make your style fit a hardscape landscaped desert looks. Either way you choose to go, we promise a spectacular end result! Our Landscape Design services all begin with your idea! When we meet with you for a free on-site estimate, the first step is getting your ideas on the layout and style of landscape you want for your Arizona home or business. We will match your ideas, with our recommended plants and landscape styles and hardscapes while accenting our choices with the style of home that you have. Once it's all thought out and we have come to an agreement on your landscape style, plants, grass, irrigation etc - we will plan a visual CAD design so you can visualize your new backyard landscape before it's even installed! When the day of you landscape design comes, we will have the full crew and manpower to deliver to your expectations! We bring hard working men to haul dirt and move landscapes around to mold your ideas into reality. We will start planting your selected trees and plants, placing all the proper irrigation lines, drips systems, sprinklers and water pipes. We will move and relocate and necessary dirt and rocks. When all is said and done, the landscape design will be absolutely stunning and complete. We guarantee your complete satisfaction or we will do whatever it take to make it right. So if you looking for the perfect landscape designs and complete service in Arizona, look no further! We are your local Arizona Landscape Design Experts! Request a free estimate online or give us a call today! ​Our landscaping company is based out of Queen Creek Arizona but we still service the entire valley. 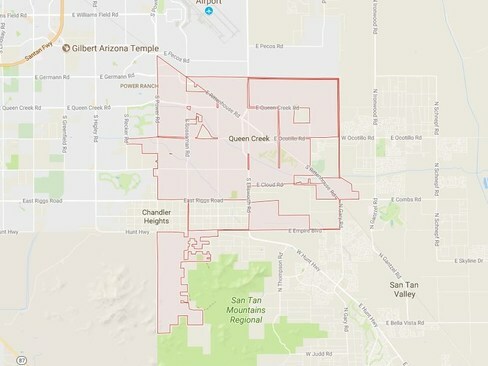 Queen Creek has a population of 33,000 people and is steadily growing as one of the many cities with rapid growth, young families and of course new homes. With all this exceptional growth there is of course a demand for quality landscapers to maintain and service the yards of queen creek residents. When people move to queen creek, especially new homes, that's where we really shine! We can turn your empty yards into a beautiful oasis of plants, grass, trees and hardscapes. If you have a business in queen creek, we can equally appeal to any of your needs and help turn the heads of all your customers and give you a sharp professional outside image as well! ​We specialize in all landscape styles and designs. We are your professional landscapers in queen creek - and we will not be beat! We offer the BEST and most AFFORDABLE, quality landscaping service in the entire Arizona Valley. If you live in the queen creek area and your looking to have a gorgeous landscape - look not further and give Red Mountain Landscape a call or request a free estimate online. We promise to give the the best price available with the most professional team of landscapers - guaranteed! 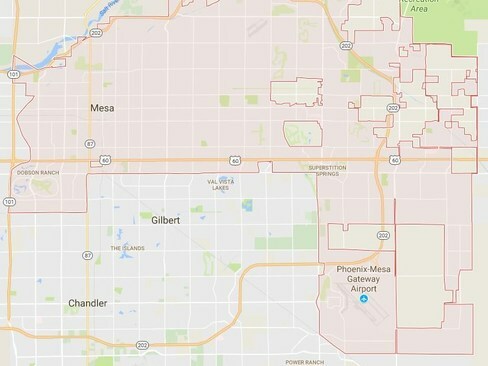 ​Wow is Mesa a huge city. It's one of the oldest cities in Arizona and has a thriving and still rapidly growing population! Mesa is just under 500,000 people living in it borders and is practically the population of Tuscon Arizona - how crazy is that? With half a million people you can imagine there are a TON of homes and businesses that need affordable landscaping service! So how do you get affordable landscapers? Simple you request a free on-site estimate from Red Mountain Landscaping! We have a huge team of landscapers who know exactly what they are doing and can handle any landscape job - big or small! We specialize in both residential and commercial landscaping in all of Arizona! Did you just move into a new home in Mesa? Are you currently moving into an existing home? Or are you a property investor looking to clean up a awful looking yard? We are here to help! We can literally transform your front or backyard landscapes into pieces of art - no kidding - you will be simple awe struck when you see the transformation that professional landscaping can do! So here's the scoop! Give us a call and request a on-site estimate. We will walk the outside of your home - front an back - and give you all our recommendations and of course honest pricing for our services - whether it's simply landscape maintenance or a complete landscaping makeover! ​If you like what you hear, great! We will set up the appointments necessary to get the job done! And don't worry - we are fully licensed, bonded an insured - so trust us with confidence! We are in it for the long run and we promise no one does a better job in Mesa than Red Mountain Landscaping! Give us a call today or request a free estimate online! ​San Tan Valley is nestled in-between Queen Creek Arizona and Florence Arizona. 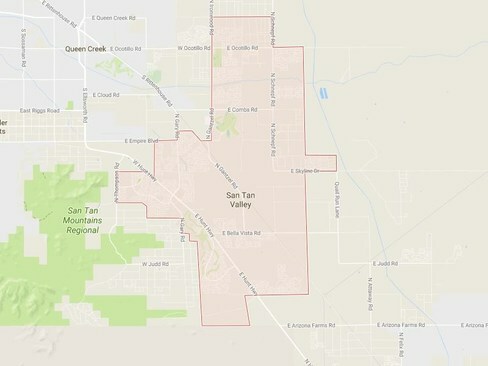 San Tan Valley boasts a population of over 81,000 people. Not the largest city in the east valley but most definitely a rapidly growing one! So why is San Tan Valley, AZ such an excellent place to live? Well for one its away from all the crazy large populations of Arizona! It also has an extremely low crime rate! San Tan Valley has a great school district for the kids and has beautiful parks and shopping centers for you and your family to enjoy! San Tan Valley is also going through a massive population and housing boom! Homes are affordable (both new and old) and with that there is a ton of yards that needs professional landscaping services! Now let's be honest with yourself - no one likes doing landscaping in the hot summer months! When the weather is 115 degrees it is not fun. Period. Well guess what? We are here to take that awful burden off your shoulders! Yes you heard us. We will sweat and work our tails off to give you the most beautiful looking landscapes you've ever seen! We will maintain your landscapes wither weekly, bi-weekly or monthly - you choose! The point is we are your professional landscape experts! If anyone should be doing your landscaping it is us! Now we know what your thinking - Ya but landscaping service is too expensive! Wrong! We created Red Mountain Landscaping with one purpose in mind - to make landscaping affordable, honest and professional! We know there are a ton of shady landscaper out there who simple do not know what they are doing. We are the solution to that problem. We put our customers first, Period. If anything is ever wrong or needs to be corrected we will take care of it promptly - no questions asked! So give us a call or request a estimate online today! We are your San Tan Valley Landscape Professionals! When it comes to landscape maintenance in Arizona, no one beats Red Mountain Landscaping. Period. So why is our landscape maintenance service so good? Simple you get the best pricing and most for your dollar. Easily. We offer multiple yard maintenance packages for every kind of Arizona landscape. Whether it is hardscapes or lush green landscapes, we do it all. We offer Weekly, Bi-Weekly, and Monthly Landscape Maintenance packages. Our landscape maintenance service involves trimming all your bushes and trees. Lawn care, mowing and edging. Drip and sprinkler system check-ups and maintenance. Weed removal and spraying and constant checks on each visit to make sure they never come back. We are Arizona's premiere landscape maintenance provider! 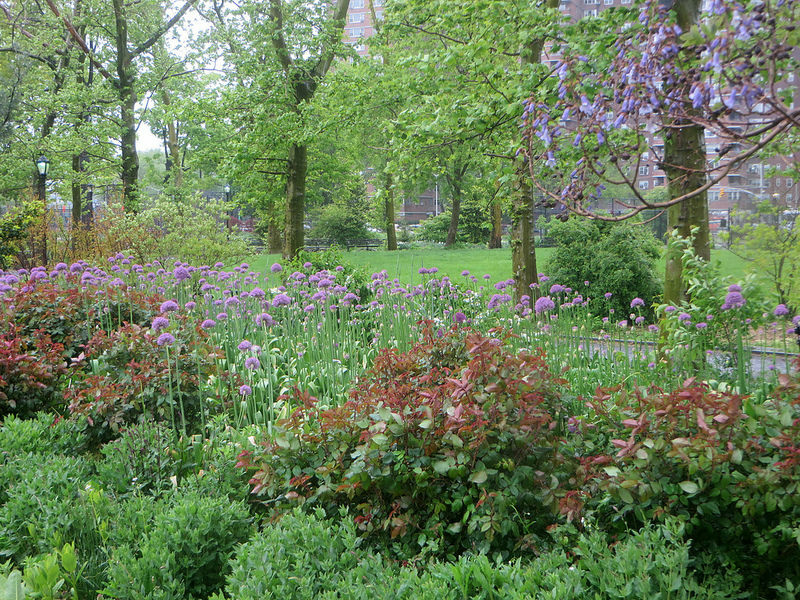 So how do you go about setting up landscape maintenance service with us? Simple. Give us a call or request a free online estimate. You will be contacted shortly by a Red Mountain representative. Next we will schedule a FREE visit to your home or business to walk the grounds and inspect all your landscapes, lawns, plants, irrigation systems, etc. We will then give you a fair and honest estimate based on the amount of work that would be involved to make it happen based on your selections of having weekly, bi-weekly or monthly maintenance service. If everything checks out good with you, we will set up a time to start the first landscape maintenance and clean-up followed by the routine schedule of landscape service you have chosen. That's it! Thanks for choosing Red Mountain Landscaping! To get started please give us a call or submit a free estimate by submitting a request online today! 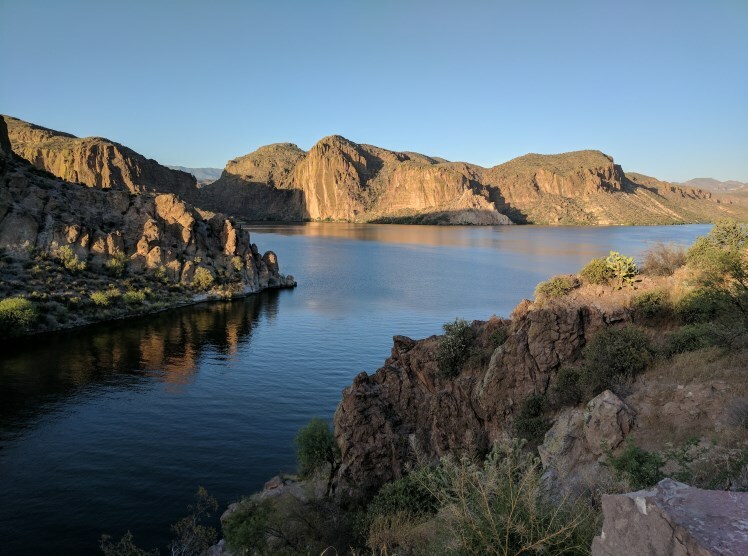 ​Gilbert Arizona is a beautiful city full of young and old growing families! The housing market in this are has grown substantially over the past 10 years and will continue to grow. Gilbert Arizona has a population of over 250,000 people! Many of which are newly wed and young couples. With the housing market exploding, there are many new and existing homes that are in desperate needs of landscaping service! That's where Red Mountain Landscaping comes in to play! We offer residents of Gilbert, AZ the best landscaping service and maintenance available. We offer full service new yard design and installations, hardscape styles, pavers and rock walls plus any plants trees or grass that fits the customers needs! Is your current landscaper in Gilbert not properly doing his job? Are you overpaying for your landscaping services? Why not give us a call? We do free on-site estimates across the entire city of Gilbert and promise to be the most competitive and honest with all your landscape service needs! When it comes to making your Gilbert home beautiful, trust Red Mountain Landscaping as your yard design, installation and maintenance experts! No one does landscaping like Red Mountain! 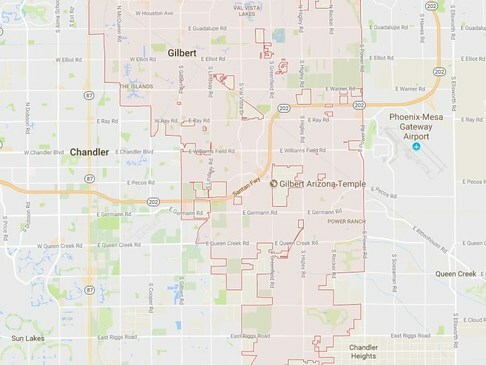 ​Chandler is historically an awesome city. With over 260,000 residents living within its borders its a great place to live and isn't over-saturated either! As it goes there are a TON of residential homes in Chandler that needs landscaping service - especially businesses. 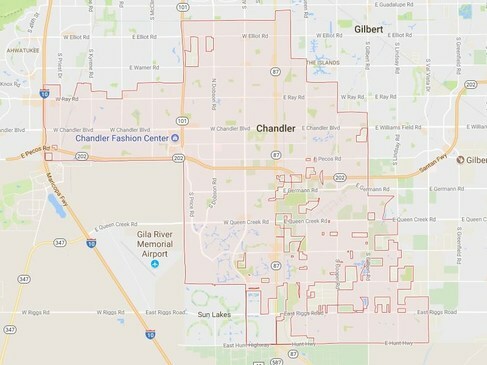 Chandler is home to many large business parks and complexes. With this there is a very high demand for affordable and professional commercial landscapers that know what they are doing! Red Mountain Landscaping is the go to company for ALL commercial landscaping needs. We are full licensed and insured to take on any commercial landscaping projects. Are you currently looking for a competitive bid on your landscape needs? Are you a business or property owner that is simply fed up with getting ripped off by other landscape companies? Look no further! We are the most affordable, honest and professional commercial landscapers in Chandler Arizona! We will personally come out and walk your property and give you a free on-site estimate on your commercial landscape services. We do everything from brand new landscape styles and designs to maintenance packages for all property types - big or small! And don't worry - if your a home owner we also have you covered! We have extremely professional, fast and affordable landscaping services that cover the entire Chandler Arizona area. We are serious about landscaping service. Do not risk going with poor quality, un-insured, non-licensed landscapers! It's not worth the risk and too many times they have left customers high and dry! We do not want this happening to you! So quit shopping around - your search for the best landscaper ends here! Give us a call or request a free estimate online today! Do you have a out of control tree that needs some serious trimming? Are you looking for a reliable and honest tree trimmer in Arizona to help keep your tree at bay? You've come to the right place! Red Mountain Landscaping excels at tree trimming and tree removal in the Queen Creek area and all the surrounding cities in the east valley. We trim trees in Chandler, Gilbert, Mesa, San Tan Valley, Apache Junction! So if you need an affordable tree trimmer near me or anywhere, be sure to give us a call! We are your local tree removal and tree trimming experts. No one knows tree maintenance and landscaping better than Red Mountain! If you need landscaping services in Arizona surrounding the Queen Creek area, look no further! We specialize in landscape and hardscape design. If you have a outdated yard or a new home build that needs new landscaping services, request a free estimate or give us a all! We pride ourselves as the best landscaping company in Queen Creek Arizona!